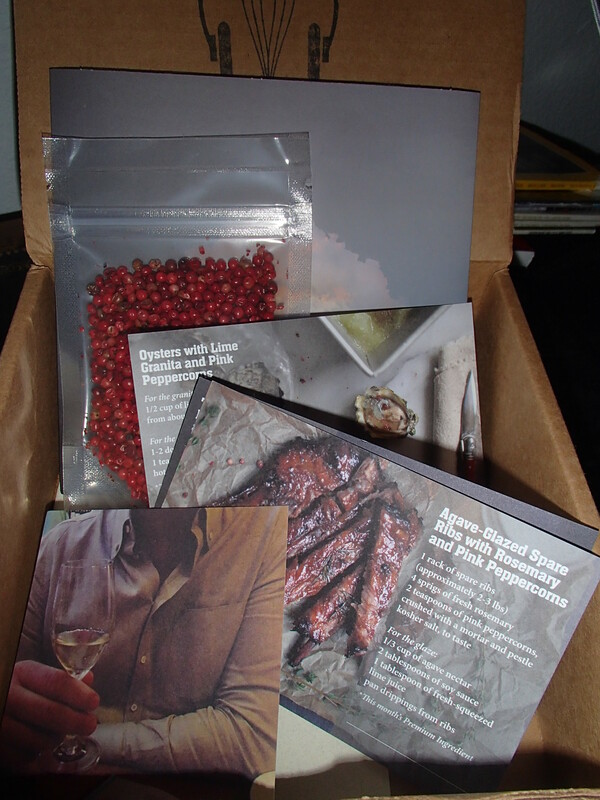 I just received the November Pairings box from Turntable Kitchen! My record is hand-labeled and says it is #165 out of 375. That’s not too many that they make each month. Premium Ingredient: Pink Peppercorns. As always, the premium ingredient came in an awesome canvas bag which I love to reuse. Pink peppercorns are bright pink and look like small berries. Turntable Kitchen says they aren’t actually pepper, but a member of the cashew family. I can’t wait to spend a night cooking these and spinning some great tunes, courtesy of Turntable Kitchen!